At the age when most kids begin to ask why the sky is blue and a million other questions, Ruth Loft was forbidden to speak in her mother tongue. Far away from home in a residential school the 5-year old and her 4-year-old brother were forced to attend, only English was allowed. Upon arrival, children were separated from their siblings, showered, their hair cut, their clothes exchanged for uniforms and their daily schedule programmed to the minute. They were given a number. Ruth was No. 7. 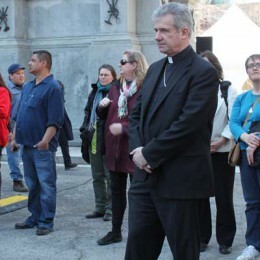 Now she speaks, though it is still painful, to students at the Survival School in Kahnawake, and to larger audiences, having presented personal testimony at the Truth and Reconciliation Commission in Halifax two years ago and recently in Montreal. 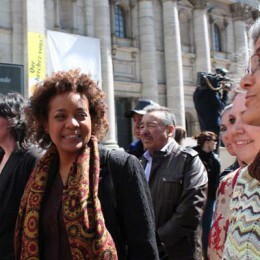 “When survivors speak, it is a huge undertaking. 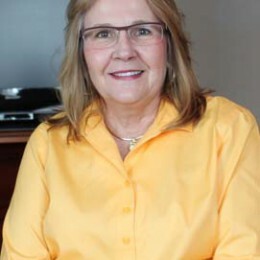 Every time she speaks it’s an act of resistance,” says her husband, Michael Loft, a university professor who teaches courses on aboriginal issues and who has worked in his capacity as a social worker with residential school survivors and aboriginal youth. 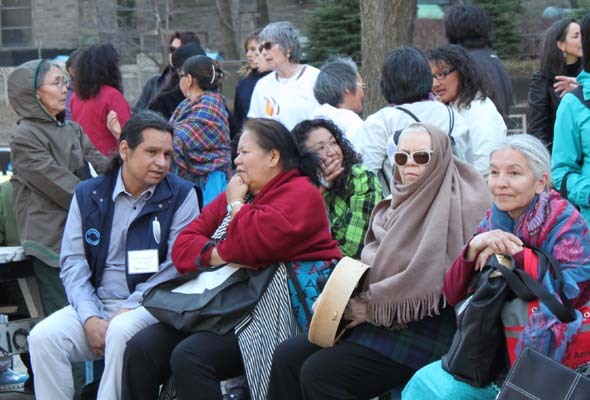 Hundreds of Montrealers attended the commission’s sharing circles and thousands watched live online around the world, learning about the infinitely sad and sometimes shocking stories of survivors of residential schools. 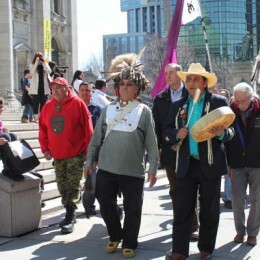 The commission is unique in that it was established by the 2006 Indian Residential Schools Settlement Agreement, in response to a large class-action suit filed by former students of residential schools against the federal government. 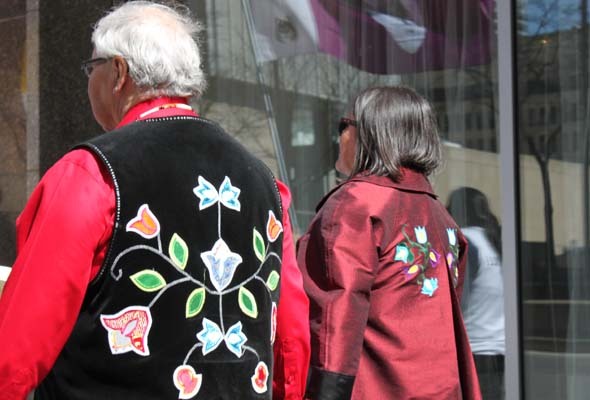 Its mandate includes informing Canadians of this part of their history and setting up a national research centre to preserve it for the future. 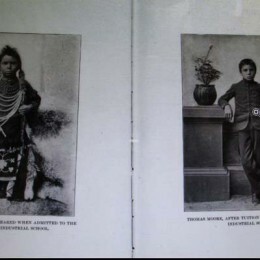 Originally called “industrial schools,” the government-funded and church-run institutions were created to absorb aboriginal children into mainstream society by divesting them of their native identity, culture, language, spirituality and traditions. 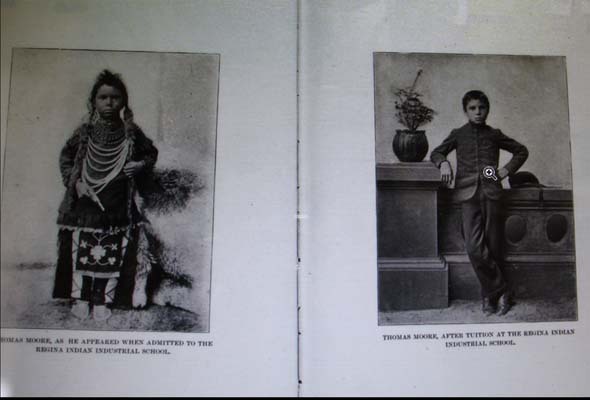 They operated between the 1800s to the 1990s, with more than 150,000 First Nations, Inuit and Métis children unwillingly passing through their doors, taken from their parents whose rights to raise them were taken over by the state. Many, more than 3,000 “missing children,” never made it home, and were buried on school grounds, their parents sometimes not notified of their deaths. Underfunded, overcrowded and unsanitary living conditions left the children—sometimes referred to as “inmates”—vulnerable to disease, hunger and physical and sexual abuse by those who had power over them. Punishments were harsh, modeled on military-style “discipline” including solitary confinement, shaming and beatings. Students recall not knowing sometimes why they were beaten, and being whipped with a strap that had lead embedded in it. Particularly painful is that the harm done through this system was known early on. Kids kept running away from the earliest schools in Quebec, and the system was abandoned for a while. 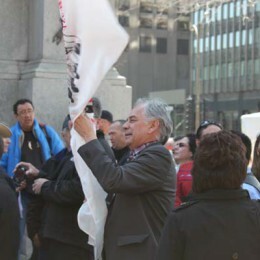 Loft mentions Peter Bryce, a medical inspector who wrote a report on the extremely high death rates from tuberculosis of students in residential schools in 1907. 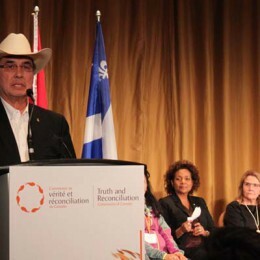 Then-deputy minister of Indian Affairs Duncan Campbell Scott informed him that his reports would no longer be needed and eventually terminated his position. In 1917, statistics on student death rates stopped abruptly. Bryce published his report in 1922, calling it The Story of a National Crime. 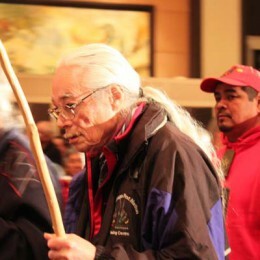 Gordon Matthews, a Cree man who attended school in Fort George run by the Oblate missionaries, says he never experienced abuse, but heard stories by other people. 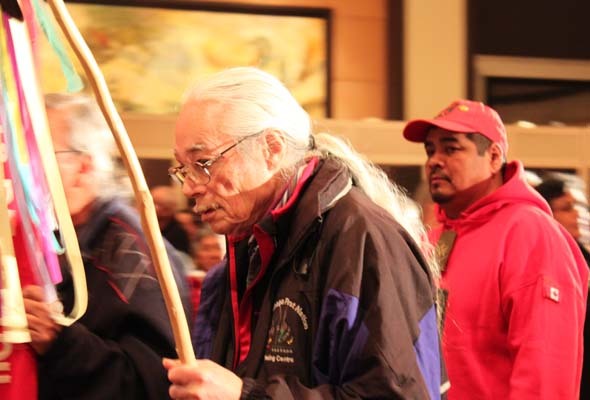 “We had no choice, the federal government ran the lives of natives. They would take us and put us in school, we were cut off from our parents and could not have contact with them even though they didn’t live very far.” The kids could go home for the summer at that school, and visit their parents on Saturday. The silence that shrouds the pain of the residential school legacy runs deep, sometimes through as many as seven generations. 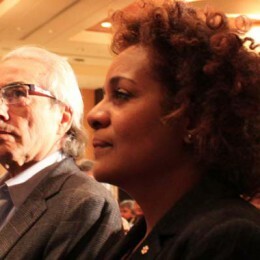 It is present in Truth and Reconciliation commissioner Marie Wilson’s family. 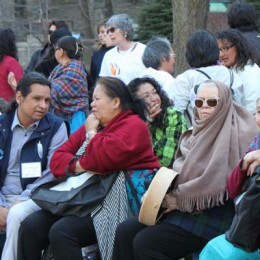 Her husband attended residential school and he only found out in the last five years that his mother did as well. Now in her 90s, she never talked about it with her son. 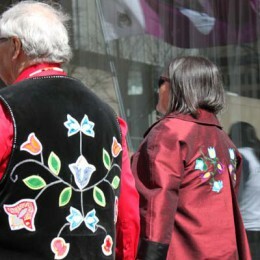 “We were married about 15 years before he ever told me what happened to him at residential school. His story is very similar to other survivors in the sense that the silence was there because it’s too painful to talk about, because there is such deep shame associated with what happened to you, at the time you’re little and you believe it’s normal or it’s your fault.” Many kids were told their parents would “burn in hell” if they told of any abuse, or they would not be believed. 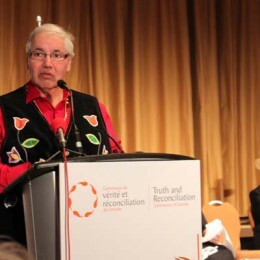 It’s also difficult for the average non-aboriginal person to grasp the depth and breadth of the harm that was caused by the residential school experience, Wilson says. 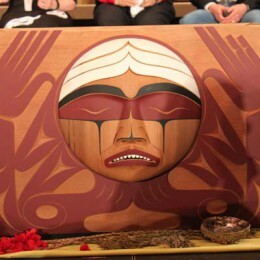 The TRC Bentwood Box, carved by Coast Salish artist Luke Marston, is a symbolic tribute to the strength and resilience of the residential school survivors and their descendants. 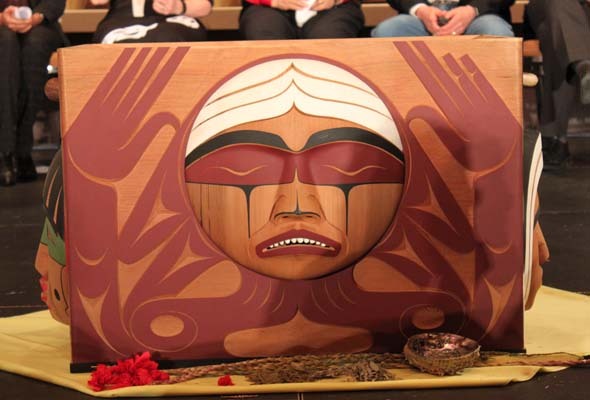 The box travels with the TRC and is present during all sharing circles, where it serves to gather personal reflections on healing and reconciliation. 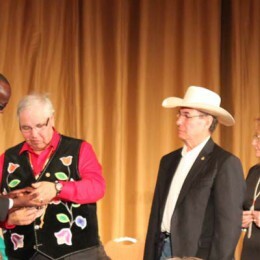 At the end of the TRC’s mandate, the box will be housed in the National Research Centre. 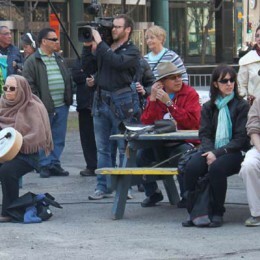 Be the first to comment on "Truth and Reconciliation a lesson in Canadian history"